The Public Transport Council (PTC) revealed today that public satisfaction with public transport has dipped by about 10 percentage points, following mounting frustrations over persistent train issues in recent years. Public dissatisfaction in the local train system appears to have intensified after the train collision in Joo Koon last November in which at least 38 individuals were injured, and the unprecedented Bishan tunnel flooding in October 2017 that inconvenienced countless passengers after services along the North-South line were suspended for almost an entire day. Public outrage against the transport operator grew after investigations into the tunnel flooding revealed that a maintenance team that was supposed to carry out works in the tunnel did not do so for almost one whole year but falsified records that they did. Before the tunnel flooding and train collision, commuters who participated in PTC surveys gave rated public transport with score of 7.89 out of 10, when they were asked whether they believe public transport operators were doing their best to provide commuters with quality service. This score has gone down to 6.69 out of 10 following the two high-profile incidents, according to the latest PTC survey. 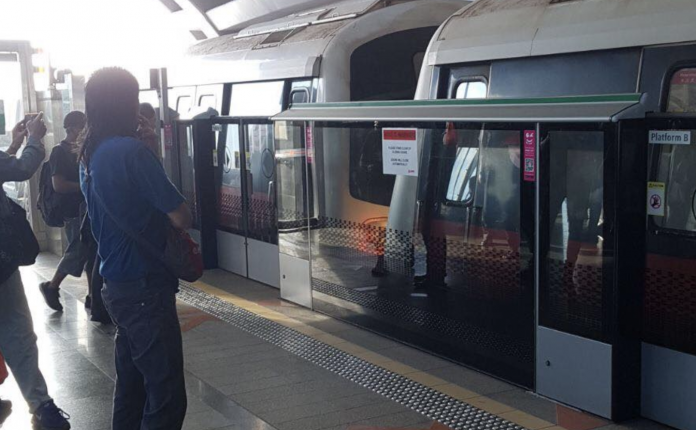 A survey of 200 commuters who take the Bukit Panjang LRT gave the line a satisfaction rating of 51.3 per cent over 100 per cent and reported that they are unsatisfied with how service disruptions are managed and criticised the speed and clarity of how information on breakdowns are disseminated.